To prepare outstanding osteopathic physicians who are committed to the premise that the cornerstone of meaningful existence is service to humanity. The mission of LMU-DCOM is achieved by: graduating Doctors of Osteopathic Medicine; providing a values-based learning community as the context for teaching, research, and service; serving the health and wellness needs of people both within the Appalachian region and beyond; focusing on enhanced access to comprehensive health care for underserved communities; investing in quality academic programs supported by superior faculty and technology; embracing compassionate, patient-centered care that values diversity, public service, and leadership as an enduring commitment to professionalism and the highest ethical standards; participating in the growth, development, and maintenance of graduate medical education. 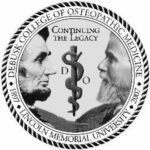 The DeBusk College of Osteopathic Medicine is located on the main campus of Lincoln Memorial University in Harrogate, Tennessee. A second campus opens in Knoxville, Tennessee, in fall of 2019. 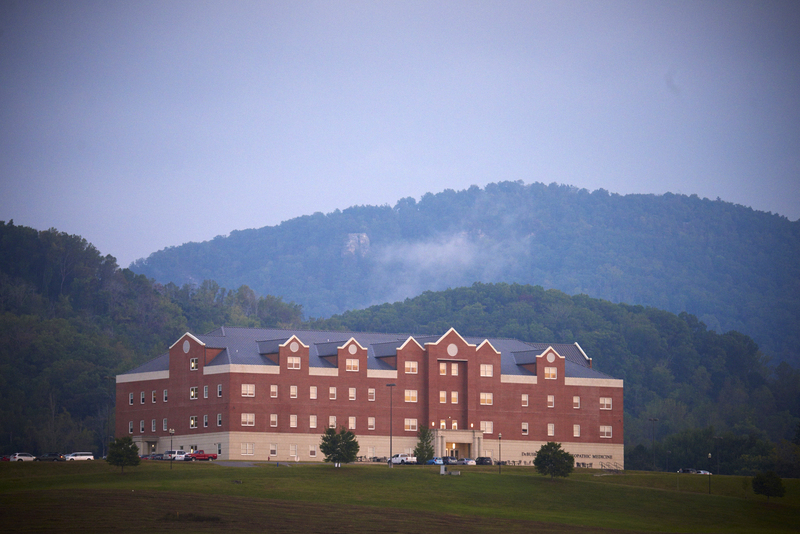 LMU-DCOM is an integral part of LMU’s values-based learning community and is dedicated to preparing the next generation of osteopathic physicians to provide health care in the often underserved region of Appalachia and beyond. 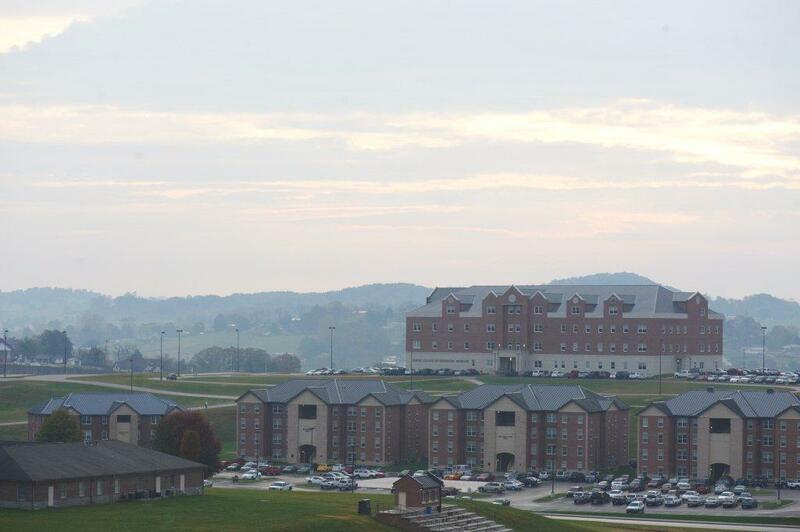 LMU-DCOM has two campuses; the first is on the main campus of Lincoln Memorial University (LMU) in Harrogate, Tennessee. 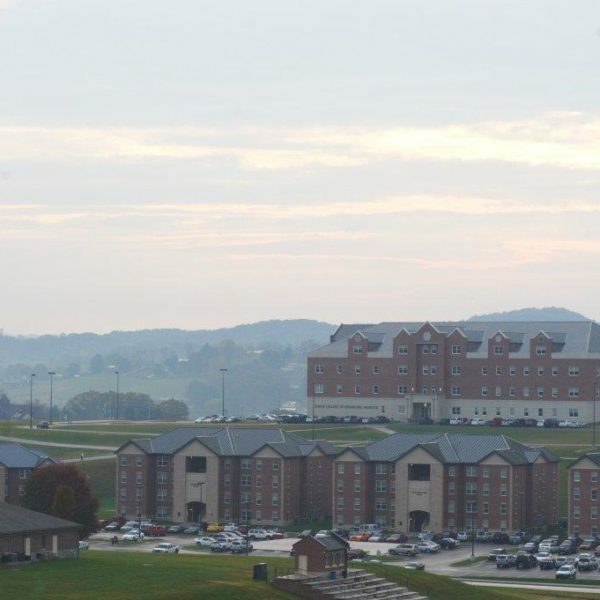 The Harrogate campus is surrounded by the beautiful Cumberland Mountains and is approximately 55 miles north of Knoxville. The second campus, DCOM at LMU-Knoxville, is located in West Knoxville. Cumberland Gap National Historical Park is nearby and can be reached via walking and bike trails that cross the LMU campus and lead into the National Park. LMU-DCOM is a state-of-the-art, 105,000 square foot facility completed in the summer of 2007. The building is four stories high and includes two large auditoria, a learning resource center with access to the Reed Medical and Allied Health Library located on the main campus, 15 student conference/study rooms, a telemedicine/distance learning center, an osteopathic principles and practice laboratory, 10 mock clinic exam rooms, simulation laboratories, an anatomy laboratory, and a large student lounge. The Hamilton Math and Science building, completed in 2012, is the largest building on the LMU campus. At 140,000 square feet, it is approximately 25 percent larger than the LMU-DCOM building. It houses a 400-seat auditorium, microscopy suite and over 4,600 square feet of research labs to enable faculty and students to engage in more research activity. The building also has complete wireless Internet integration and full high definition and digital classrooms. Also in the building is a much larger anatomy suite with four pods to accommodate professional students. The main academic building for DCOM at LMU-Knoxville is over 110,000 square feet and will support the academic and clinical skills training of osteopathic medical students with two auditoria (a 320 seat and a 360 seat), twenty-six mock clinical exam rooms, a two-pod gross anatomy lab, eight high-fidelity simulation labs and a classroom with 40 osteopathic manipulation tables. 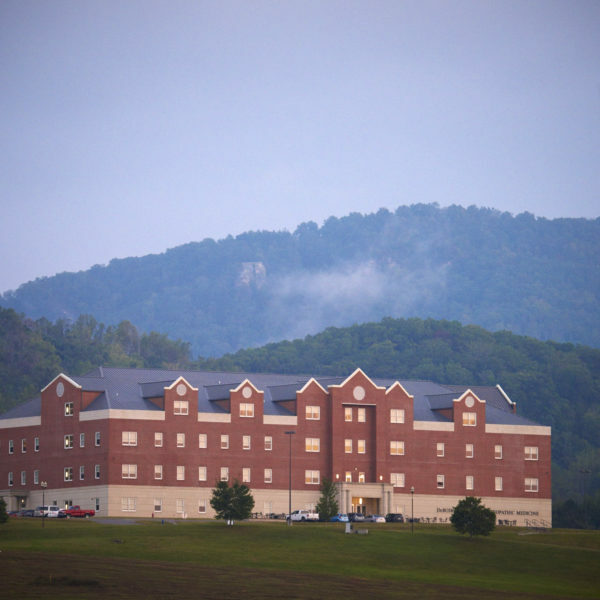 The University Inn Apartments and two new apartment buildings are located in Cumberland Gap, Tennessee. Residents can choose from either studio apartments and two- or three-room units. The University Inn was renovated in 2007 to include 96 one-room studio apartments and 30 two-room apartments. Each apartment is furnished with built-in cabinets, a bookcase, a desk with chair, a queen bed, a nightstand, a dining table with two chairs, a refrigerator, a stove, and a convection oven/microwave. Common areas include a lounge, 24-hour study area, conference facilities, outdoor swimming pool, picnic area, exercise room, volleyball and basketball court, and laundry facilities. The curriculum is designed to integrate the biological, clinical, behavioral and social sciences, and is divided into two phases: Preclinical Curriculum (years one and two) and Clinical Experiences (years three and four). A primary care physician must be skilled in problem solving and demonstrate expertise in diagnosis. In order to achieve this goal, the LMU-DCOM curriculum emphasizes the integration of the basic and clinical sciences in medical practice. LMU-DCOM is committed to embracing holistic care, diversity, and public service as an enduring commitment to responsibility and high ethical standards. The DO/MBA program provides osteopathic medical students with a thorough understanding of business principles useful to a physician (four-year program). The Anatomy/OPP fellowship provides an opportunity for qualified students to obtain experience in teaching, mentoring, research, and clinical skills while also further developing their anatomy knowledge and OPP skill sets. Fellows receive a Master of Science in Anatomical Sciences degree (at no extra charge) during the fellowship year (five-year program). Once applications are complete with a supplemental application, official MCAT, and required LORs, they are reviewed holistically. Selected applicants will be invited to interview. The Admission Committee will make a final status decision based on the entire application packet. For best consideration, applicants should submit their AACOMAS application at least four weeks prior to the deadline. The Admissions Committee will select students for admission based on a variety of factors. When reviewing application files, the committee will consider the applicant’s overall grade point average (GPA), grades in individual courses, undergraduate curriculum, prerequisite courses, any advanced-level laboratory science courses, exposure to osteopathic medicine and its practitioners, employment in the medical field, participation in volunteer experiences, verbal and non-verbal communication skills, background, MCAT scores, and any other pertinent information. We seek to enroll students who are inquisitive, intuitive, and compassionate; who possess a passion for the science and art of medicine; and who desire to serve others in underserved areas. If you qualify for an AACOMAS waiver, we will waive the supplemental processing fee. Accepted applicants must pay their matriculation deposit and then request a deferral in writing. If approved by the Dean, their deposit is moved to the next cycle and applied on their first semester tuition.